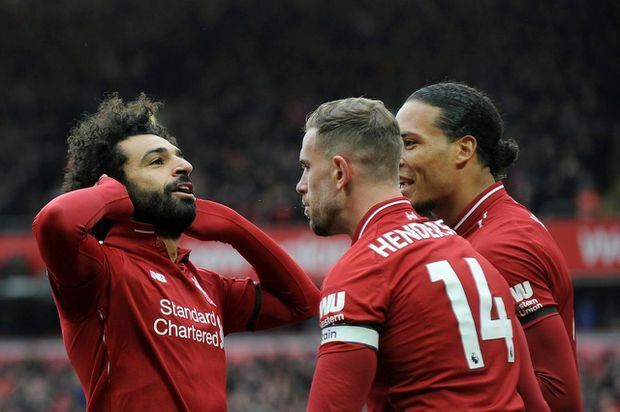 Liverpool's Mohamed Salah, left, celebrates with teammates after scoring his side's second goal during the English Premier League soccer match between Liverpool and Chelsea at Anfield stadium in Liverpool, England, Sunday, April 14. City has the harder run-in, with games still to come against Tottenham and Manchester United. Liverpool’s remaining games are against Cardiff, Huddersfield, Newcastle and Wolverhampton Wanderers.